One of the things I was missing in the place that I used to live was a decent bookstore. In particular, I was missing decent bookstore tables. You know, where someone or something picks books, sets them up front, that sort of thing. For better or worse, the book table seems to me to be the only real reason that bookstores might keep existing, for a little while anyway. When I know that I need something, more often than not I order it or get it out of the library. I go to bookstores exclusively to find things I didn’t know that I wanted. Back in the place we left, we had a local independent bookstore with the tables that might as well have been labeled The Atlantic Monthly Selects from the New York Times Book Review and a Barnes and Noble whose algorithm was clearly set to Rust-Belt Middle Brow, Not Much Going on Here. Not a lot of fun, and I didn’t spend all that much time in them. Anyway, there are some good bookstoresshops with some good book tables here where I am now. My neighborhood Waterstones isn’t great, but they do have a lovely table of fiction in translation, almost entirely new stuff or newly translated stuff that I haven’t heard of. This is going to fall way, way short of a review, but Andrzej Stasiuk’s Nine is very much worthwhile, especially if you’re the sort that would be interested in a novel that, as far as I can tell, breaks every record for most tram trips per page. 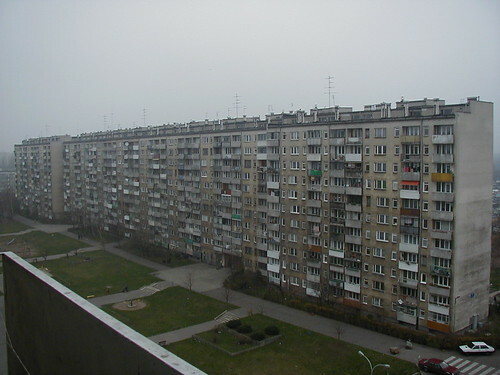 * (And, really, you are interested in that, as it’s a core demographic indicator amongst AWP’s readership..) Amidst the flashbacking flutter between Poland pre and post, we also get cafeterias, rooftops, apartment blocks, train stations, kiosks galore. Sold yet? Ulysses demystifies this imperial ideology of progress and productivity through a series of allusions to the Lockout of 1913, condemning Murphy’s earnest nationalist endeavors as unintentional corollaries of his exploitation of the common Irish laborer. By interweaving references to Murphy’s tramcars and newspapers with images of the Irish flâneur and fantasies of masturbation, Joyce offers a critique of the imperial project by means of its ironic, unintended results: the Irish flâneur signifies the suppression of alternative (and unprofitable) order of transportation, and the fantasies of masturbation an immanent critique of capitalism’s “reproductive” capabilities. In concert, these minor critiques, connected not thematically but by the crisscrossing of tramcars and railways, amount to an argument calling for the reorganization of Dublin’s social and economic orders along lines not owned and operated by William Martin Murphy. I really hope someone called me out on “the ideology of progress and productivity,” but it’s been so damn long I can’t remember. Innaresting, SEK. Do / did you get the sense that Joyce was in tangible way invested in the nationalization of these trams, their transformation into a public utility rather than a wholly owned business? At the time, I argued that he connected the trams to the newspaper industry in order to condemn them both. (As well as a certain form of modernization generally.) But the argument’s a mess, really, because it’s built on some naive assumptions about what would constitute oppositional thought. (Think, like, something Craig would write. It’s about that bad.) Looking back on it now, I’d say that Joyce condemned Murphy (owner of both the press and the trams) in the same way he condemned Guinness, i.e. he accepted them as belonging to the warp and woof of Irish society but was bitter about it. To be honest, I’d need to re-read Ulysses to figure it out … and that’s something I’ve been thinking of doing as soon as I finish the dissertation. Which means soon. Since the paper was accepted with a revise-and-resubmit a few years back, but then, mysteriously, never published, nor were my many emails as to why ever answered, it might not be a bad idea for me to revisit this all and try to get it published elsewhere.